Letters on PGL Day Two. We year 6 have a school trip to PGL in Wales this week. 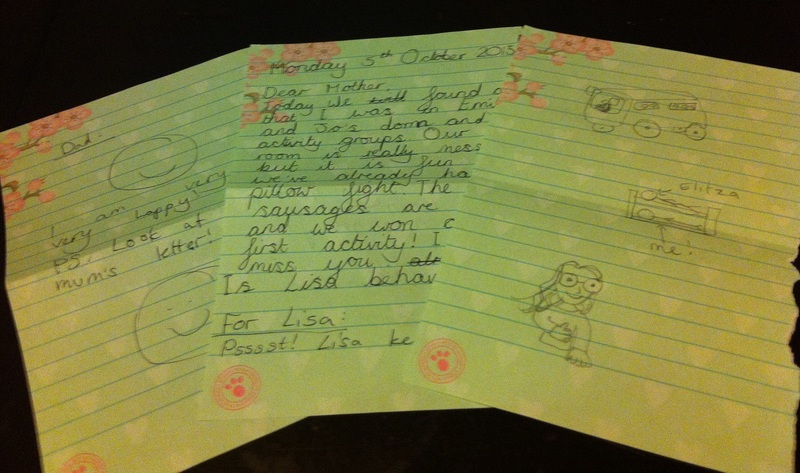 I wrote a letter to Daddy, Mummy and Lisa on the first day.